When I first had the opportunity to interview Knightmage last year, it was for Almost Nerdy. I was, and still am, completely in awe of his Spawn project. I got a chance to catch up with him recently about some super cool stuff he is doing so I took the opportunity to ask about his Predator project. Mixing cosplay and charity is pretty cool and you have been doing that in different forms for a while. What made you start this new project? In an effort to continue to make the costumes I create more meaningful than just a creative outlet for myself, I’ve decided to start a new charity print campaign. I’m partnering with various photographers, charities and websites and doing location-based photo shoots that coincides with the character as well as choosing a charity that directly or indirectly correlates to the character in some way. 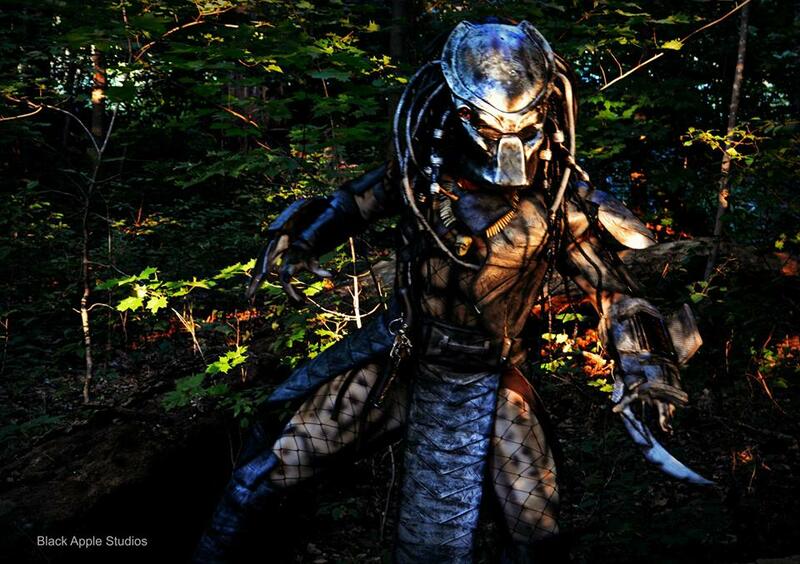 The character that is on deck is Predator. Prints can be purchased from my Storenvy. All photos in the set for one flat price. The charity that proceeds will benefit is “Noah’s Lost Ark“. Noah’s Lost Ark is a non-profit, charitable 501(c)(3) Exotic Animal Sanctuary, located in Berlin Center, Ohio. A facility that is dedicated to providing a permanent safe haven for unwanted and abused exotic animals. They are a NO-KILL facility that allows these magnificent animals the opportunity to live out the rest of their lives in a safe and caring environment. I have made it no secret that Predator is one of my two all time favorite movie monsters. It hasn’t really mattered which movie it was; I still love it. I love doing collaborations with other cosplayers. Duo and group cosplays are the best. 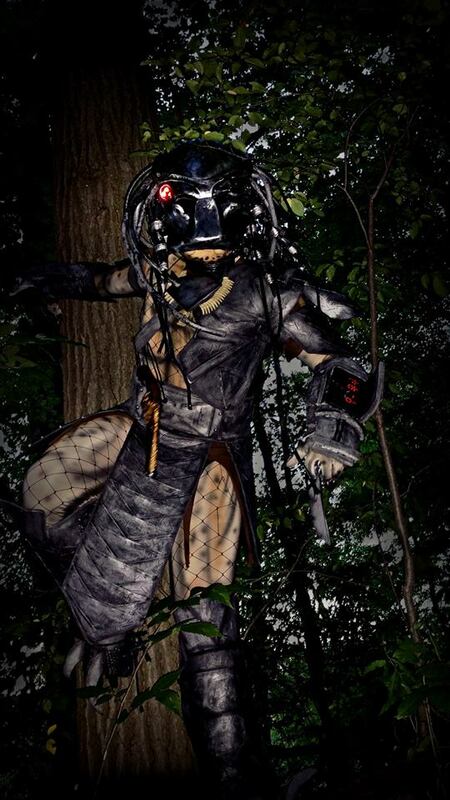 My friend “Mewpuff Cosplay” wanted to do a Predator duo for Katsucon this year. I was really happy that she chose character that but admittedly I was slightly intimidated on how to put it together. 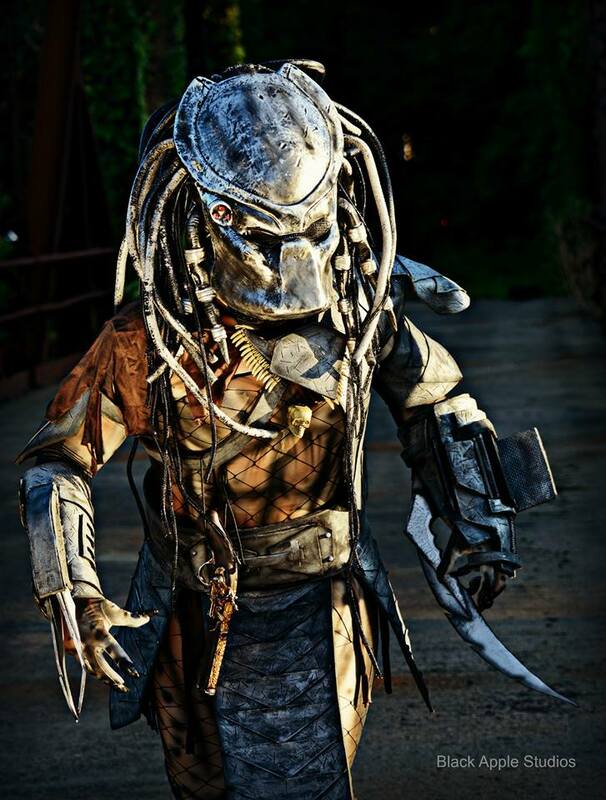 Predator is one those characters that many people who cosplay as it takes very seriously, spending sometimes hundreds if not thousands of dollars creating. Me being a budget builder I wasn’t really sure how I would tackle it. After sitting down and really thinking of how I wanted my version to look, I got work. The helmet looks amazing. How long did it take? First, I make it know that have absolutely no qualms about modifying store-bought costumes and items. I found the face mask and helmet online for pretty cheap. Once I got it both the mask and helmet was repainted. I also added more dreadlocks to the mask using a combination of backer rod and mesh tubing. A few people told me that it wouldn’t work but that was precisely why I did it. I wanted it to have a unique look. All in all the mask and helmet was done in a few hours with the entire costume being finished in about 4 days. What ended up being the most difficult thing about this build? Was it something different in the end than you anticipated having problems with when you started? The most difficult part was probably finding the fish nets. I never thought that I would have to shop around for those. It was definitely a first. The second most difficult part was figuring out how to put the fish nets on. All in all this build wasn’t difficult but I’m really happy and proud of how it turned out. Especially because the end cost was only $125. 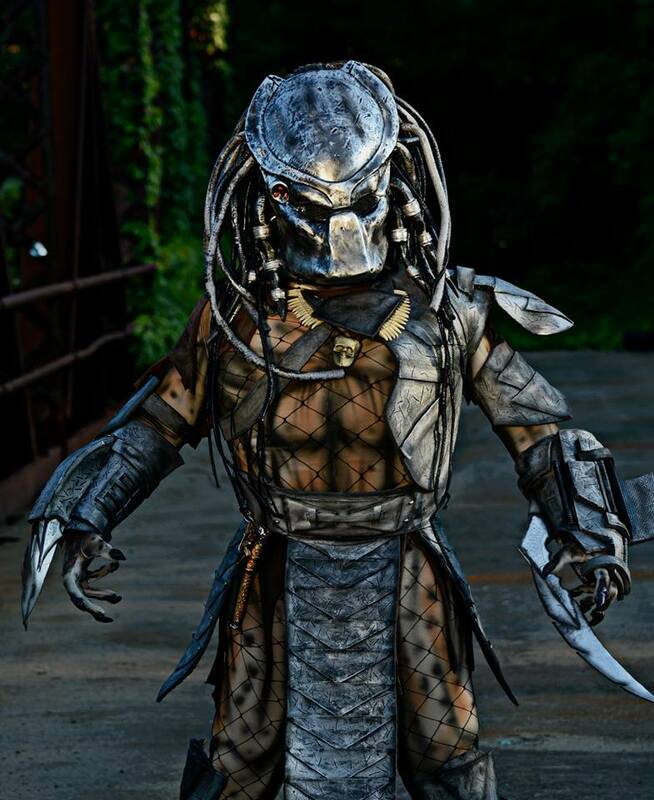 Again, there are some serious Predator cosplayers out there and a few have nitpicked my build to a fault. However it doesn’t get to me at all. It really has become one of my most popular costumes. Even catching the eye of the YouTube channel “AWE” and their show “MAN AT ARMS: Reforged”. 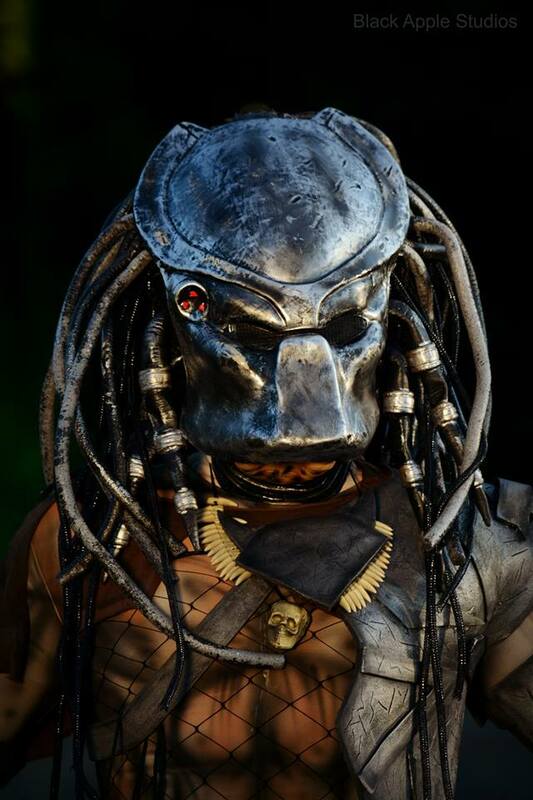 They brought me in as their Predator for their Predator wrist blade episode which was an incredible experience. What new stuff do you have coming up? I’m always working on new costumes and projects. From creating to con appearances to charity events and now with this charity print set campaign I’m staying busy and trying hard to connect with as many charities as I can. I always feel like I can be doing more. Unrelated to my cosplay ventures I also just started production of a movie that I’m doing titled “Zone 8”. This is going to be a really cool new take on the found footage concept. You can learn more about it here. How cool is that? So go get you some Predator prints and give to Noah’s Lost Ark at the same time! Previous Post I Am Out of Hibernation.